Our services are the solution to all your removal headaches. We employ a team of seasoned movers that provide the best moving services not only in the area of Forest Hill but the capitol as a whole. Our Forest Hill removal company was founded with the goal of giving local customers (business and private) access to high quality relocation services. We have managed to establish ourselves as one of the leading moving contractors by maintaining the highest level of service quality to this day. We always strive to provide to our clients’ high standard removal services because we know how important it is to have a peace of mind when moving. Even more, as pompous as it may sound, to date we have always managed to exceed the demands of our clients and provide them services that go beyond their expectations. 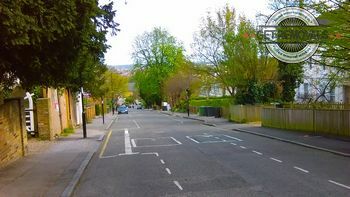 It is like this because unlike most man and van companies we aren’t afraid of going to the next level to complete a removal Forest Hill based. Also know that up to now we have never failed to meet a deadline. The main reason behind this incredible achievement is the fact that we are always ready to work round the clock in order to complete a job in time. So regardless how time sensitive your relocation can be know that we will finish it in time and without any issues. As we already mentioned several times we are seated in the London area of Forest Hill. The area lies in the southeastern parts of the city and is part of the London Borough of Lewisham. Forest Hill is also part of the SE23 postal code district. The area is known throughout the capital for its span of different architectural styles which date from the late 19th century to present days. The most noted building in the area are the Capital Cinema, the Horniman Museum which is also regarded to be the focal landmark of the area and the classic art deco mansion blocks of Taymount Grande and Forest Croft.